Description: [mohr-tah-DEHL-lah] This is the only imported Mortadella directly from the famous parma region in ltaly. Parmacotto Mortadella contains no MSG or Phosphates and has an excellent shelf life. 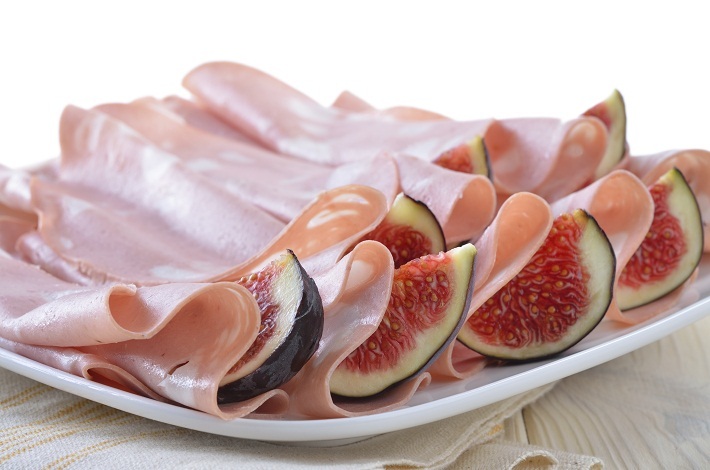 Mortadella is delicious and can be used in an endless variety of ways: on a mouth watering Antipasto tray and as an extraordinary Sandwich. Our Mortadella is also available with pistachios. Mortadella hails from the food rich town of Bologna, aptly nicknamed “la grassa,” meaning fat. Among the many pork sausage products made in this region, it is this one that is the most celebrated. Mortadella has been made for at least five hundred years, but may have origins in Roman times. A favorite sausage of the Romans was called farcimen mirtatum and was flavored with myrtle berries and prepared by using a mortar and pestle. The name for mortadella originates from the Latin words for myrtle (mirtatum) and mortar (mortario) and the sausage was made the same way up until the Middle Ages. Today the preparation and ingredients are a little different as Italian culinary life has evolved over the centuries.